Sam opens his mailbag to answer your questions about the Bulls. After watching the Lakers game and reviewing box score from the loss to the Nuggets I see a team with no go-to guy and no special playmaker who can score and get others shots and make them better, no defense, no shooting. Where do we go from here with this team? Carrying a nine-game losing streak and feeling eek! I do not profess to be a NBA coach evaluator but it seems to me this team is not playing up to its potential. There certainly appears to be enough talent on this team to accidently win a game once in a while. The players seem upset about this especially after the Denver loss. I think it is not too early to judge Coach Boylen. From afar it seems this team is not responding to his coaching. 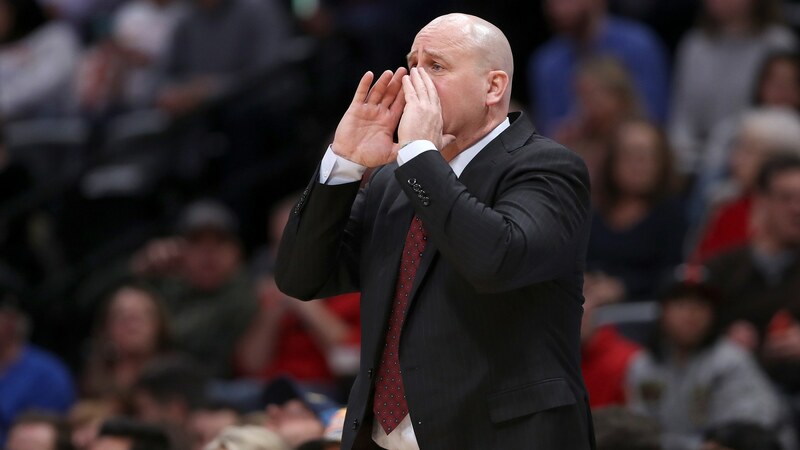 My question is while I am a full fan of Paxson, I wonder why not name Boylen interim as most teams do instead of giving him a two year contract? Sam: I need to straighten at least that out. Jim Boylen did not get an extension. He was on an assistant coaching contract through the 2019-20 season matched with Fred Hoiberg, which is standard. When an assistant is promoted to head coach whether called interim or not it is routine for the assistant to be given a slight bump in salary—same as Larry Drew in Cleveland—for the additional duties and responsibilities. Boylen got that as soon as he acceded to the job as does every coach in that situation. He was already under contract through the end of next season and still is with the appropriate addition for being asked to do more as would be with any of us in most any job. I don't disagree with the absence of an interim title because your statement to the players should be we are serious and this isn't a substitute teacher, so put away your spit balls and whoopee cushions (what? they don't do that anymore?). OK, it doesn't look like it sometimes, but a Western Conference trip in the midst of trades, injuries and reworking a playing system in the middle of the season isn't exactly a stable time. The Bulls say after every season everyone is evaluated and I assume that will be the situation again. 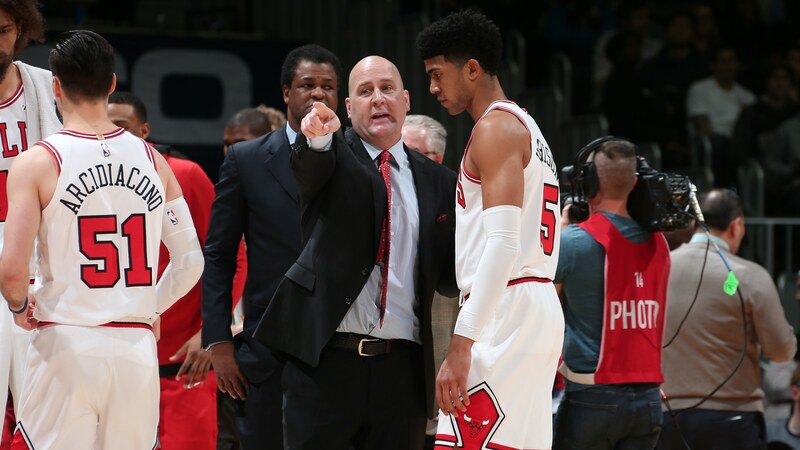 But Boylen also has not had a training camp or a chance to hire his own staff or much consultation about personnel. Tough to judge. I know you don't pay too much attention to college hoops, what are your thoughts about Zion? I know a guy who knows a guy that says he may not be worth a long term investment due to his style of play and weight... his knees may not hold up. I personally think he may be a tweener... he may be too short for a power forward and he may be slow/ heavy for small forward. Great athlete and great college player, but I don't see him being close to a superstar in the NBA. if we end up with him, where does he play? Can he play small forward? We already have 2 guys at power forward in Markannen and Carter. Sam: If he's as good as many suggest, then he plays wherever he wants. True, I don't watch much college ball—lately the NBA ball I have been watching has been bad enough—but I have ventured to a Duke game on occasion and see some flaws, like shooting, though I have yet to give him a physical. A lot of top picks don't work out. It happens. No matter what the NBA GMs say now, everyone wanted Greg Oden and not Kevin Durant. The kid looks like he could be a star, and, especially for the Bulls that's what they lack. I like Markkanen and LaVine a lot, and believe if you get them a star to attract some attention instead of all of it going to them they will be much better. Maybe the Duke kid does fade out. Who knows. Remember Brandon Roy who went from Rookie of the Year surprise to high school coach? But the draft is about taking a chance on a star. There are no guarantees. He looks to be the biggest star in this draft. I'd have no hesitation. And imagine if I were actually watching. Can your remember NBA players from former generations who seemed way too athletic and powerful for their body to handle the rigorous of the league longterm? 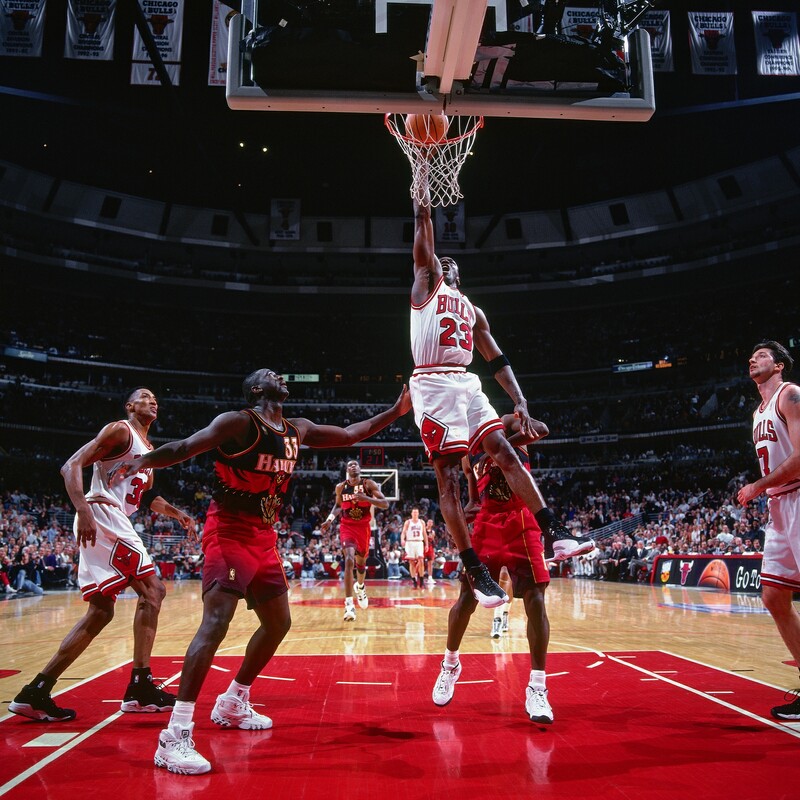 D-Rose comes to mind, Zion scares me, Larry Johnson? Jordan and Lebron do not really qualify to me, they are exceptional athletes as well, but their bodies did not seem as freakish as Zion's and Rose's jump, stop and acceleration ability was off the charts. Sam: Injuries are bad luck; Zion would be good luck. Pundits everywhere, including those attached to the Bulls, are all salivating over Zion Williamson - and the Bulls are fast amassing a record that could make ZW a possibility in the next draft. My question is - in terms of fitting in with the Bulls - is Zion more of a short 4 on a team that seems all "4ed-up", or more of an oversized 3 who will have trouble guarding smaller, quicker players at that position? (a Jabari Parker with less range?). I know he's a talent, but who sits when he takes the floor and is he a Boylen-kind-of-guy? Sam: I can see where the fan interest is going. As I suggested, I'm fairly confident he's Boylen's type of guy. It's not that difficult to fall in love with someone special. What a great job the Nets have done so far this year. After arguably the worst NBA trade ever in 2014 it appeared the Nets would take a decade to recover. They traded away their draft picks for 2014, 2016 and 2018. In addition Boston got to swap picks with them in 2017. Success didn't seem possible until they could finally get their draft picks from 2019 going forward. The playoffs, maybe in 2024. Halfway through the season and they are 23-23 after winning an amazing game against the Rockets. The GM, coach and team are to be congratulated. The are an incredibly resilient bunch of unrecognizable and discarded players. Treveon Graham, Joe Harris, Rodeons Kurucs, Jarret Allen and D'Angelo Russell were their starting lineup against the Rockets. Against the Rockets they were down by 14 with a few minutes to go in regulation and tied it. In overtime, they were down by 6 with about a minute to go and won it. They help define resilience. This team finally has their own 1st round pick this year and chose winning to tanking. They have skipped the tank to build a winning culture. Kudos to a really great team. Can you make your magic now happen for the Bulls? Sam: Well, it has been my philosophy in avoiding the indignity and fraud of losing on purpose because losing makes you a loser. 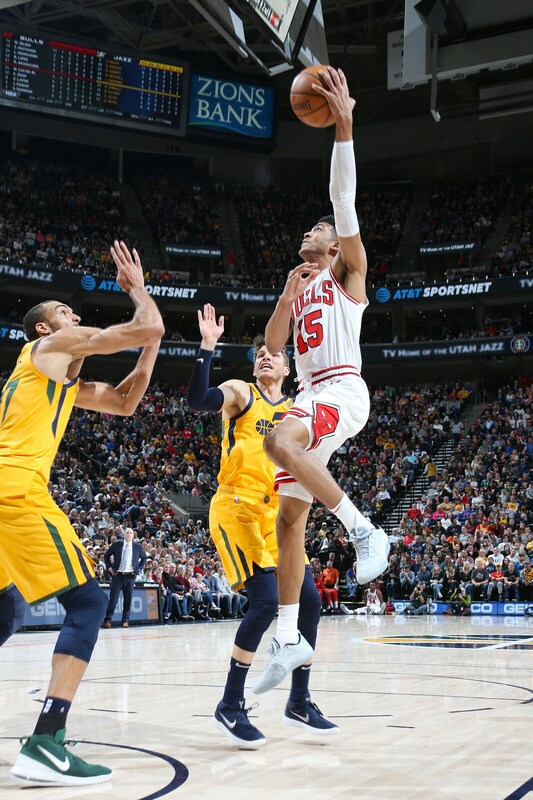 I fear it is occurring with the Bulls to some extent, though I am facing some ambivalence considering the two months lost to injuries and the coaching change and the hole so deep that perhaps it might be best for the rest of this season to not try so hard. Though I wince when I even think about it. The losing model guarantees you nothing, and I agree, good for the Nets for putting a very nice team together. But their problem with some good trades—and I still count the Jimmy Butler one good for the Bulls—is that they have yet to have that transcendent star and are last in the league in attendance. Maybe in free agency this summer? Winning is a curious thing. It only seems understandable when you examine the successful teams. But that is the best team I've enjoyed from Brooklyn since the '56 Dodgers. After reading your take on Jabari Parker being back in the rotation after their loss to the Lakers, it made me think back to when you've said you're not a fan of his demeanor towards the media. Too terse, always on the defensive, etc with Zach Lavine being basically the polar opposite. That said, It made me wonder who have been some of your favorite players to speak to over the years? Sam: First regarding Jabari; his attitude and demeanor were awful when he came to the Bulls. Why, I never could figure. All everyone said was he was different, but not evil. Actually, since the benching, which wasn't a great idea, and in the return he's been much better. The point wasn't so much he wasn't cooperative. There were plenty of guys to talk to who are terrific people; but it was the way he was answering simple questions with defiant, one word answers. It's mire an insult to people at their jobs, failing to give respect to someone's job. Jabari never once was asked back then an unfair or even probing question. Anyway, he's been fine lately, if not detailed. All just about everyone in media really asks for is simple decency. The truth is there are so, so many really good people in the NBA, kids who came from difficult backgrounds who are grateful for the opportunity, friendly, savvy and eager to help. Some of my favorites over the years for being open, outgoing, helpful and friendly were Elton Brand, Larry Bird, Steve Kerr, Magic Johnson, Phil Jackson, Joe Dumars, Kyle Korver, Jerry West, Jordan (pre-championships), Isiah Thomas, Johnny Kerr, Joe Caldwell, Chet Walker, Horace Grant, Charles Barkley, Mack Calvin, Wayne Embry, Brent Barry, Grant Hill, Bill Cartwright, Pau Gasol, Derrick Rose and too many more I'll regret leaving out. I really don't have an opinion on Boylan yet as a coach, but I have read "experts" opinions on the internet which feel the Bulls young talent is not developing since he took over (They were all hurt under Hoiberg so nothing to really compare). 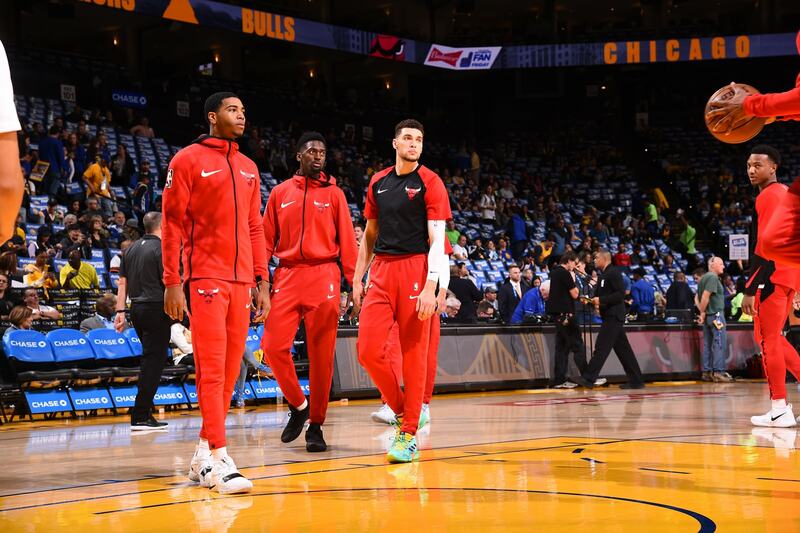 Do you feel there is acceptable growth in the Bulls players as individuals and as a group under the watch? Sam: I know from being a parent we shouldn't monitor growth by the week or month. I know it's different in sports, and there have been some setbacks the last month or so. But let's be real, as it were. It's a month with a new coach, players off injuries having lost their preseason and yadda, yadda. I know no one likes hearing it and a losing streak headed to the bottom of the league and a succession of blowout losses is depressing. 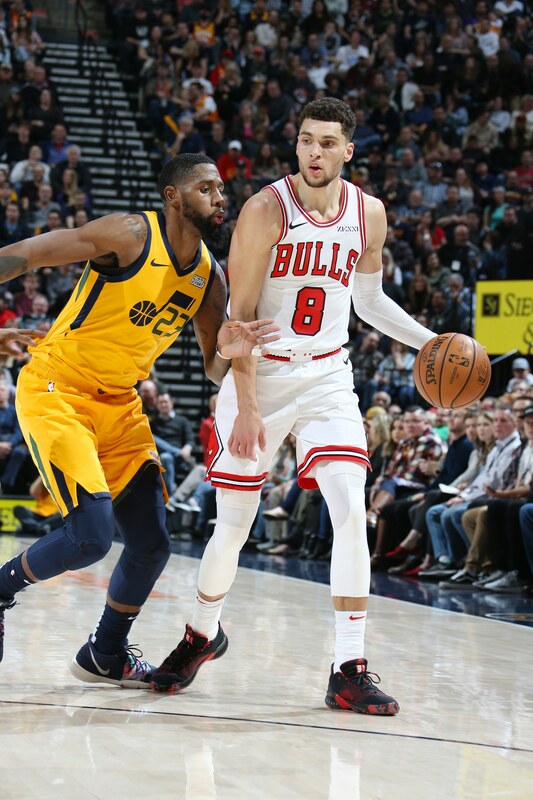 We saw plenty of good things from LaVine pretty much until the coaching change and plenty from Markkanen, who came back strong against the Nuggets. The glimpse showed you he has a lot of stuff. Carter is that tough guy the Bulls always talk about. The Bulls talk about growth, too, but I assume they mean over a season and not a losing streak. We should know a lot more by summer when the Bulls make Williamson player/coach/primary stockholder and the new team logo. The Wolves (while not amazing) have twice as many wins as the Bulls while playing in the Western conference. Meanwhile, the Bulls are actually worse this year. If the future success of the Bulls (drafting Zion) has nothing to do with the assets/players acquired in the Butler trade doesn't that mean GarPax lost that transaction? Sam: Curious way of looking at that. Though I am going to Williamson's Hall of Fame enshrinement in September. I think the Bulls would make that deal again, and I'm fairly sure the Timberwolves would not, and certainly not Thibodeau, which probably would mean he still was working there. I'm still on board for LaVine, Markkanen and Dunn for Covington and Saric. I'm interested to see what happens the rest of this season. Apparently, Boylen will be gradually introducing more pace. Let's see how Dunn plays as that happens.I think he's a very solid player and that he can play faster than we've seen. But can he see the court well & drop dimes on the run? Can he take more 3's and still make a good % of them? It's hard to assess his fit into an offense they aren't really running yet. Hopefully, we'll know enough after 39 more games to make a sound decision. For that matter, if we draft a point guard it can still be a competition for the starting job. Dunn would be an awfully strong player to have coming off the bench. The great teams have player like that – who might start elsewhere – on their benches. Why not us? But from the Nuggets game there's no doubt in my mind now that the tank is on. Boylen's comments are a dead give-away. Yes, it's "a season of discovery"… yet another one. Anyway, I'm giving the game ball to RoLo – 17 & 6 in 19 min. on 8-10 shooting plus some nice intangibles. Everybody else mostly stunk. Sam: When the season started the No. 1 question on most lists was Kris Dunn, and I think it still is. The Denver game was disappointing—yes, in many respects—the way Dunn made a point after the Lakers game of apologizing, which I didn't think was necessary as bad games happen, but then didn't do much again. End of bad trip, altitude, a team making 20 threes. It may have looked worse than it was. Dunn has had some very effective games, and his numbers are respectable at 12.5 and 6.5 coming off missing two months. But I'm still having difficulty figuring out what he exactly is in this era of high scoring, hot shooting point guards. I don't think sixth man is a horrible thing, though many NBA players, like Parker, have disagreed. It seems like a nice way to make a living. Having a guy like Dunn coming in as a combo guard may be the stuff of an excellent team. 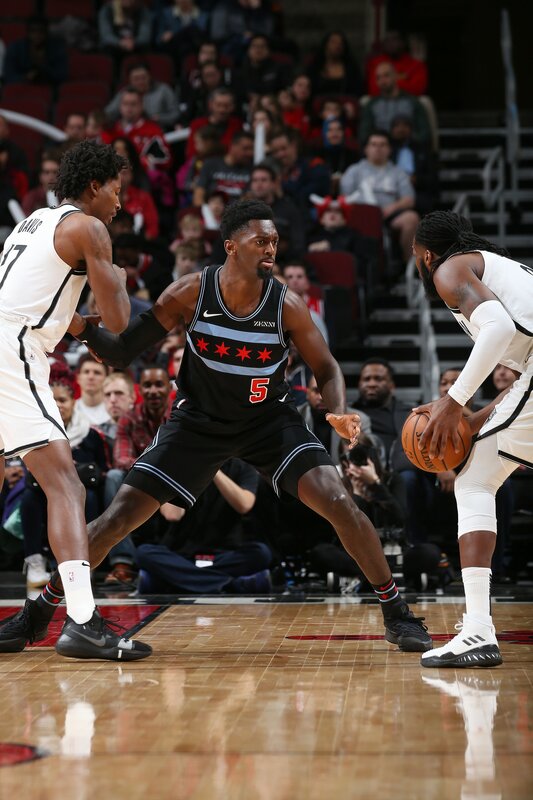 I don't think the Bulls have fully made up their minds on Dunn and it's hard to get a read from Dunn about how he'd deal with such a competition and situation because he is so guarded. Hey, he's a guard in case you missed that one. I get it. He's only played a bit more than a month, so it's not so much the tank as many of the the questions don't have answer yet. Who is Zach Lavine as a ball player or are you still waiting to see? He is having a good statistical year and the team is not winning. I see a talented offensive player with an innate ability to score and on the defensive end someone who will not be a difference maker. Will he be more than a great scorer? Is it fair to start the Jamal Crawford comparisons and if that's the career he has, is it good enough for the Bulls to continue to keep him on their rebuilding roster? If he continues to put up just under 24, 4, and 4, will there be serious suitors on the trade market? 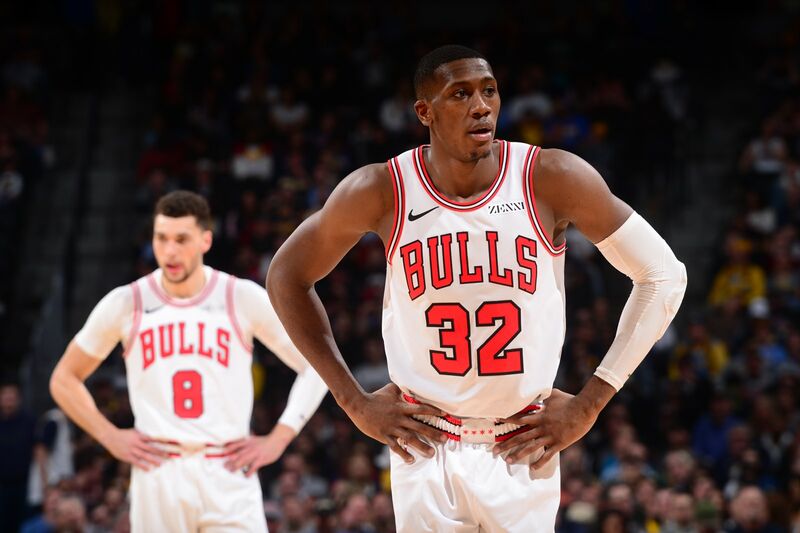 Is he the person the Bulls should be building a team around or will his need to have the ball on the offensive end, hinder the progression of young players? Sam: I don't think it's either you're Michael Jordan or James Harden or you're Shaun Livingston. I like Zach as a player a lot. Many don't like him as much as I do. I don't worry about the defensive component as much since James Harden seems to have done OK without it. Yes, Harden is a build around, and maybe Zach isn't quite that player, but he makes tough shots, takes tough shots, can get to the basket and is a good shooter and great athlete. Who are the Bulls to say that's not good enough for them? Enough with these Shaquille Harrisons and David Nwabas who compete like crazy. That's not the NBA. Maybe it's the NBA bench, but they're in every draft. In the second round. Zach has a chance to be a star, and those are the players the Bulls need to be accumulating. Zach has flaws, but this is his first full season back after his ACL and has never started more than 47 games in an NBA season at 23 years old. I think the Bulls these days are pushing him toward too much two-point play, and he's a willing player trying to do what is asked. My guess is he's not so sure it's what's best. But he's trying to be a good teammate and professional. The Bulls could do a lot worse. And have. More often than not, someone else's spouse or date isn't exactly who they seem from your vantage. Its not so much the recent turmoil that has made me anxious about the rebuild it's just that even on a "good" night (not getting blown out at Utah on 2nd if back to back), the way the bulls are losing - take 9 more shots shoot a decent percentage but make 9 fewer 3s - is troubling given both the analytics or really, math (you can score more counting by 3s) and trends in the nba. In other words - isn't the urgent need drafting or signing guys who either can hit the 3 or have potential to be good 3 point shooters. I suppose if valentine can come back he would fit that description. Sam: I'm fairly sure that's obvious to them as well. Yes, they could use some Valentine, and Holiday made threes (in streaks). I'd look at it as a larger issue if this were the final version of the team. 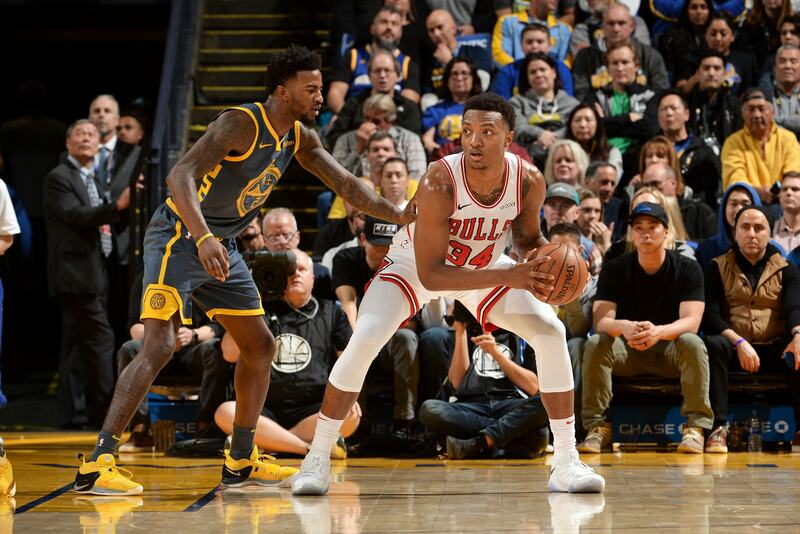 I've mentioned the need for a wing player who can make plays off the dribble and shoot, a backup big man, preferably a defensive seven footer to tag team with Wendell Carter Jr., perhaps a point guard and, certainly, shooting. I'm not sure how the team sees it, but I can see Carter, Lauri Markkanen and Zach LaVine as core players going forward. There may be others, but they're still on audition regarding play or salary. There's another high draft pick coming and a big money free agent or two this summer. Probably not one of the top two, but I believe a good player and maybe two. I don't see Markkanen or LaVine yet as that No. 1 option to build around, so they have to show as well, and they still are very young. Can you get a No. 1 in the draft? Maybe. If not in free agency, what about an ensemble and a lead like Dirk Nowitzki, who was good enough to be the best player on a title team and several close. Markkanen could be that good. If this were Year 4 I'd be more worried. There are a lot of moves still to make. The Bulls now reportedly refuse to buy out lopez if he cant be dealt knowing he is going to the Warriors. Will garpax throw away a couple million over this fight and not buy him out since he obviously has zero trade value? Or is he the head of the "leadership council" so someone we need to play out his contract? 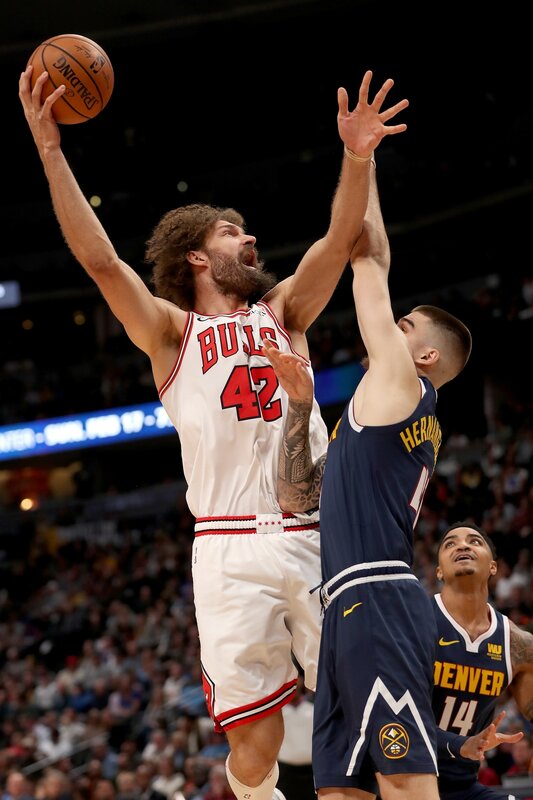 Maybe we can do lopez a favor a favor, give him his entire salary in a buyout so we can get another extended run of felicio playing 20-30 minutes a night....need to see how his development is coming along again....or just burn that money too with asiks and jabaris and cam paynes and play carter jr 48 minutes a night? Sam: OK, you’re frustrated and needed to lash out and vent. I’ll wait a bit. OK, ready? Carter was almost out for six weeks, it seemed the other day, so what was the hurry to offload Lopez? And then he was. 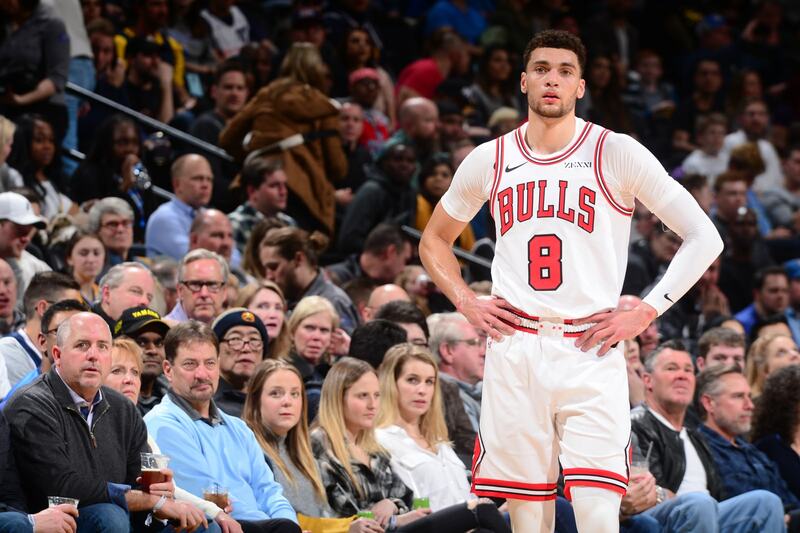 The Bulls late Friday said Carter actually could miss two to three months after further reevaluations of his injury by hand specialists when the team returned to Chicago. And so now perhaps surgery. Another bad break in a broken season. But more than that this is a larger issue for the NBA that it won’t face; it’s another rich get richer, and the Bulls aren’t rich now. What some top teams apparently are doing—I can’t say I know for sure the Warriors are among them—is telling agents to get their players released or bought out for a small amount and they’ll bring them in on a minimum to give them some money back and then they can add playoff money and maybe be on a title team and their team gets nothing because these teams won’t trade because they are waiting for the buyouts. So a team like the Bulls trying to get something for a player like Lopez or Jabari Parker gets shut out and the team like maybe the Warriors or Celtics or Raptors or Rockets gets to pick up a player without giving up anything. 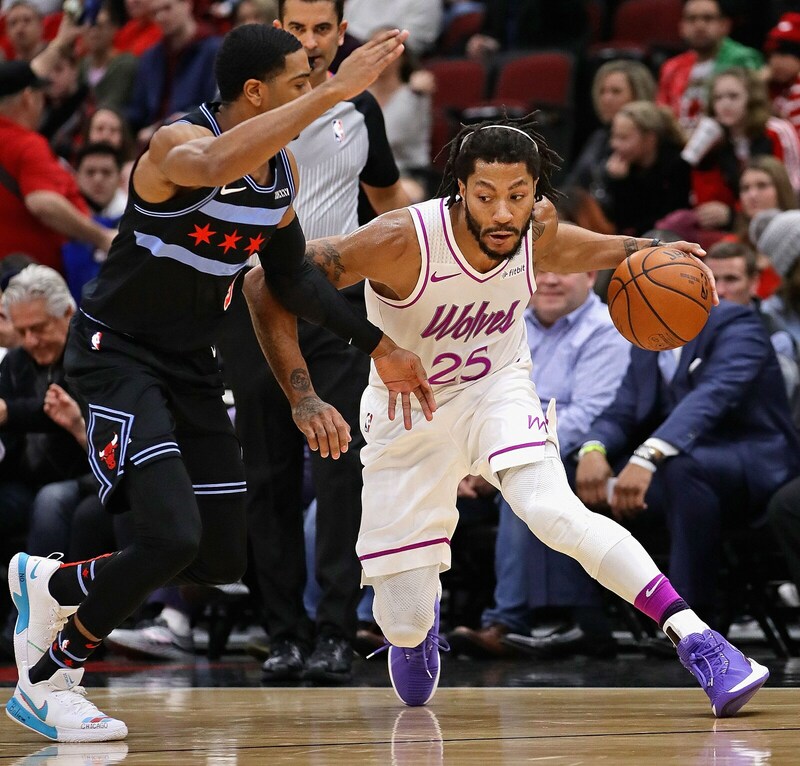 The NBA has said it wants to level the playing field for all teams and open up trade opportunities, but this buyout period inhibits trades and discriminates most against losing teams like the Bulls trying to add a player or draft pick. The NBA should eliminate the buyout fraud period because it helps just the few top teams, and the Bulls are right to say they won’t grant a buyout because it is being used against them by the top teams to help hold them down. It baffles me why anyone would be mad at the Bulls other than maybe Lopez’ family. And since when are fans upset because the Bulls won’t be able to make more money? Talk about entering Bizarro world. 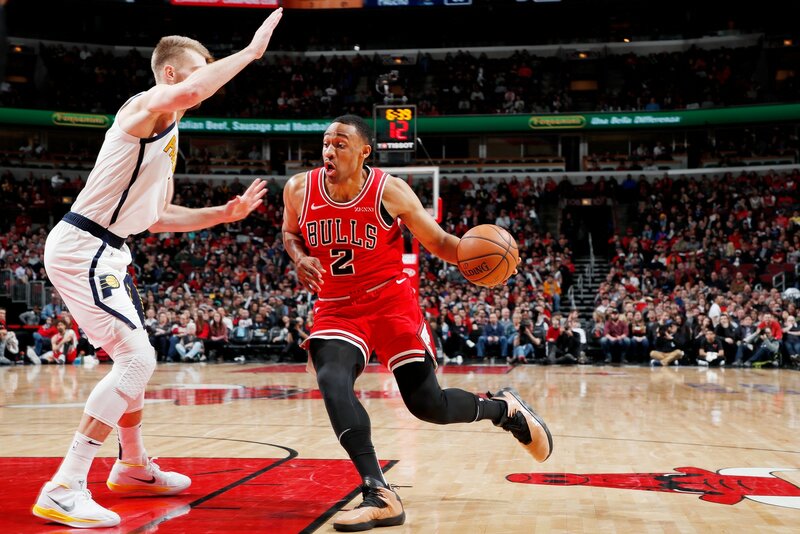 With your comments on how sloppy Gobert was and with what should be a realization that, against the better 7 foot centers, Wendell Carter may always be overmatched, I have to respond to a comment you made a couple of weeks ago regarding a player who is truly a top 3 center in the league, Nikola Jokic. After watching him destroy Portland with a 40/10/8 performance, I think that you need to make an effort to actually watch a few Nuggets games so you can make a more informed assessment. In doing so, he totally outplayed the guy who should be the Bulls starting center, Jusuf Nurkic, who is averaging 15.2/10.2/1.36Blks in just 27 minutes per game. Jokic 19.7/10.2/7.6 with a career .356 3PT% is far more valuable to his team than any other center including Embiid. His 21 career triple doubles in 270 games places him second all time behind Wilt's 78 which, if he stays healthy until he is 30, he will eclipse. 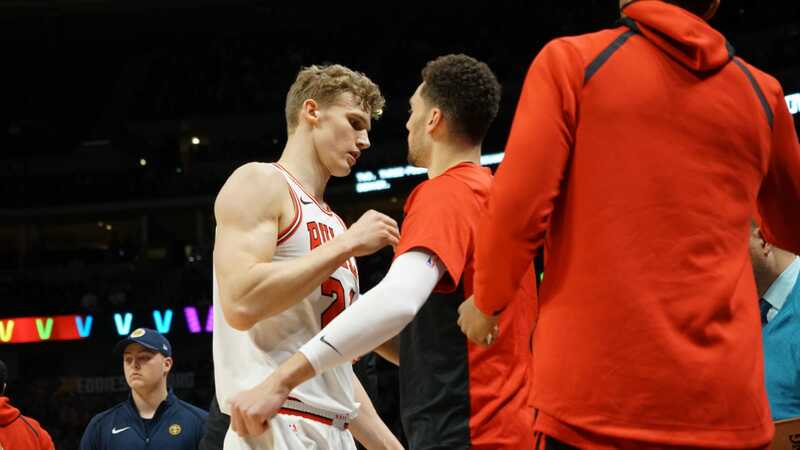 Sam: So why would the Bulls want Nurkic if Markkanen actually played as well as Jokic Thursday? And as one correspondent from above mentioned, it was game ball for Lopez playing against Jokic. Jokic is terrific. Yes, I did see the Nuggets play. And, unfortunately, up close Thursday. They're pretty good; if they think they are contenders, Golden State straightened that out earlier in the week. But they've built a very good team; good for them. Yes, I know, the snarky Nurkic thing is the Bulls deal to move up in the draft to take Doug McDermott. The Nuggets took Nurkic, whom they traded for Plumlee, and Gary Harris. They obviously did better, but it's only fair to judge at the time. And I know not a single Bulls fan ever wrote me asking that the Bulls please draft Nurkic. And moving up in the draft from outside the lottery to inside the lottery is always viewed as a coup and was that night. What's so great about Nos. 16 and 19? Like to have those picks again this season instead of a lottery pick? The Bulls were at least aggressive in search of talent. It didn't work out. It happens in the draft a lot. But it made sense. I still can't figure out why Doug can't make more shots. Anyway, as for Jokic, he's really good. I agreed that. All I believed, and I still do, is he's not an MVP candidate and maybe a top 20 NBA player. Which is very good. The Bulls would like to have a top 20 player. But he's still not even been in one playoff game in his career and has been playing pro ball five or six years. It takes actually being on the winning team in one playoff game before I make someone a top 10 player and MVP candidate. He's having a terrific season. I'd still like a look at his games this spring. Get back to me then. I can be persuaded. While I used to enjoy the three-point shot I've come to dislike them over the past five years or so as the league as gone so heavily towards them. I don't so much mind that the big man has been de-emphasized, though I wasn't rooting for that either. The NBA has always been my favorite sport/league to watch as it has the best athletes in the world, and because they're not wearing helmets or padding, you can really see that athleticism displayed every game. 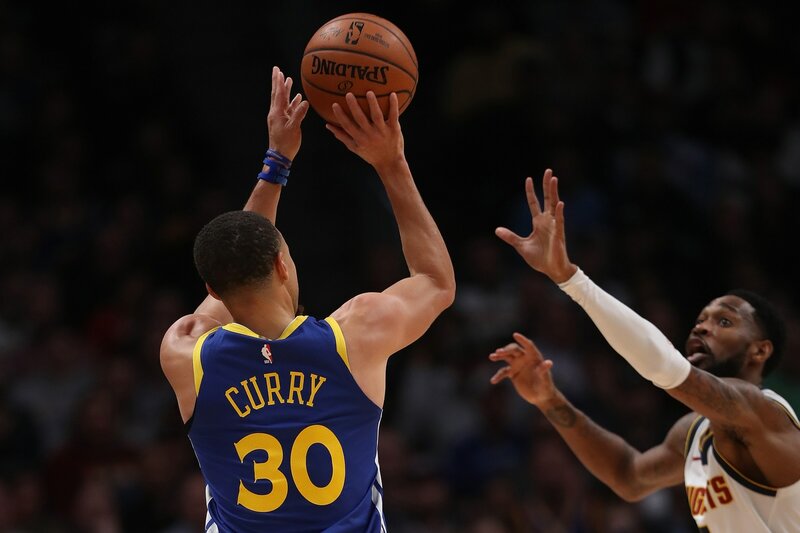 All the three-point shooting has reduced the number of times per game that players are attacking the hoop and thus displaying their otherworldly natural talents. Of course they still do so some, but now it seems the top goal is to draw contact and a foul and actually attempting to make the shot is just a bonus. Much like baseball has become too much about home run, strikeout or walk, basketball is too much three point shot or free throws. I may be a bit hyperbolic but the emphasis on efficiency in sports - which I understand makes sense in terms of impacting winning - is making them less aesthetically pleasing and thus less fun to watch. Steph Curry is great and fun to watch, but in terms of his natural athletic and physical talents, where do you think he'd have stacked up in the NBA of the 80s and 90s? Sam: I feel like the sergeant driving the car in the MASH movie who was always grumbling, "Damn Army" about the behavior of the crazy doctors. Damn Analytics! Again! But relax, not nearly as bad as baseball. I always say great players would be great in any generation and it goes backward as well. Curry wouldn't have the freedom to roam like he does, and some coach would bench him for shooting way out there. Back then they made you throw it inside or sit down no matter how many you made in practice. But Curry is much more clever with the drive than just his shooting. He would be a player like Cleveland's Mark Price, who was a small man and great shooter and one of the best pick and roll guards I ever saw. At least before Steve Nash. Price was a great shooter and multiple all-NBA player and would have been many more if not for injuries. But playing with a seven footer in an era of great centers, his major responsibility was to make his center look better than him. That would have been the difference for Curry, who would have been an All-Star, and better than his dad, who could shoot about as well, but couldn't dribble. Sam: Venting, also? I've gotten plenty today. I'm not sure you want to see Selden, Harrison, Felicio and Blakeney against Denver's starters. I'm not getting as much mail asking for them to play more as much as you you may think.